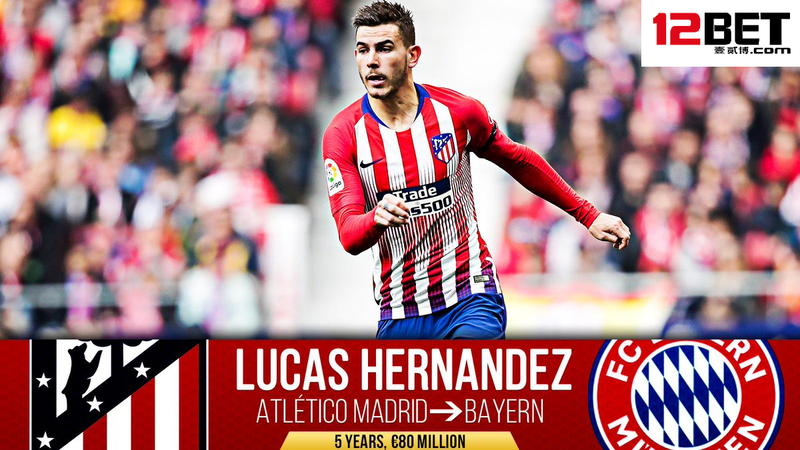 The long wait is over as Bayern Munich completed the signing of the 23-year-old Lucas Hernandez from Atletico Madrid for €80 million. According to FC Bayern sporting director Hasan Salihamidzic, the France international has been handed a five-year contract until 2024 and will officially join the Bavarians on July 1st, 2019. Meanwhile, FC Bayern chief medical officer Dr. Hans-Wilhelm Müller-Wohlfahrt discovered something during Hernandez medical. It found out that the World Cup winner has sustained damage to a ligament in his right knee and the defender immediately underwent surgery following the discussions by both parties. Moving forward, Hernandez is more than happy to be part of what he referred as ‘one of the best clubs in Europe and the world.’ In addition, he thanked Atletico and said that he will forever cherished the 12 amazing years with the Los Colchoneros. Take advantage of our comprehensive tips and previews on 12BET. Sign Up today and stay tuned for the forthcoming events, predictions and betting odds for more chances of winnings using the 12BET Mobile Apps for iOS, Android and 12Access for PC to enjoy betting on sports and slots.